Fort Hubberstone was completed in 1865 on the opposite shore to Fort Popton. It is a large battery, with eleven guns in casemates, eight in an open battery above, with another nine in an open flank battery. 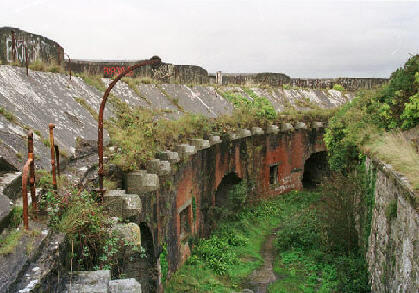 The large barracks to the rear had a capacity for 250 men. It was finally closed at the end of World War 2 and has fallen into disrepair. 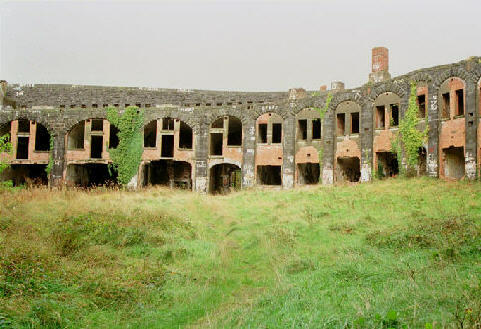 It is now owned by Milford Haven Port Authority, is very overgrown and is not open to the public.